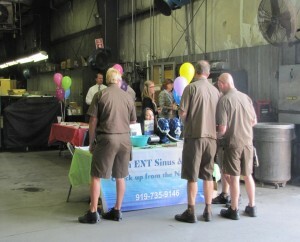 UPS puts tremendous value on the health and safety of their employees and their annual health fair is an integral part of this wellness initiative. This event will be held in the bay area and will be fully shaded during the event time. The event will run from 8:00am – 9:30am (setup at 7:30am) and is much anticipated by the UPS Anderson employees including shifts, drivers, and managers. If this event is a right fit for you, then they definitely invite you to submit your request to participate, providing you with the opportunity to engage with and educate their employees on your services and/or products!